I hope you all had a great ending to 2014. I'm not usually one for resolutions as God knows anyone who has yet to stick to any, but this year I thought I'd set a few that I'm actually able to stick to. 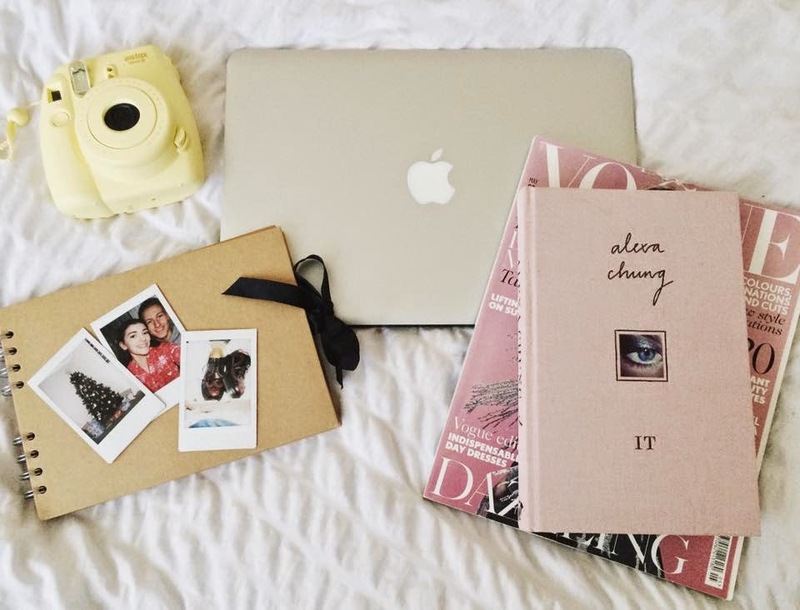 I've decided to put together 5 things to help me get more focused on my blog and make the most of 2015. 1. Post at least twice a month: Since I started my blog around June last year, I've actually only managed to publish 9 posts. My ultimate goal is to create a well-known blog for myself so I can share my outfits, ideas and ramblings with you all, and hopefully interest/inspire some of you aswell! I think that by aiming to post at least once every fortnight is achievable without being too full-on right at the beginning. It also means I have more time to put into each post and you aren't bombarded by effortless posts due to me trying to meet certain deadlines. 2. Take more photographs: So originally I was considering creating a post about 2014 and all my memories, however I didn't actually have enough photos to show for anything. It's quite disappointing to have barely anything to show for a whole year but hey ho, hopefully this year will be different (I even got a new camera for Christmas so new excuses!). By logging my experiences I'll also have a whole lot more to talk about on here! 3. Get out more: I want to make more memories with friends/family and give myself new opportunities. Last year I didn't really ever have much motivation to actually go out or even make plans with my friends as often as I would've liked and after looking back on last year, although it was a great year, I'd love to have even more things to share with you this year. 4. Re-use old clothes: I'm constantly finding myself buying new clothes and completely disregarding my old ones! Although there are still a few wardrobe essentials I intend to buy and undoubtedly there will always be something that catches my eye when shopping, I'm going to start bringing back my old items of clothing into what I wear and who knows, maybe I won't find myself with 12 pence in the bank at the end of each month from now on? 5. Motivate myself: College can be pretty stressful, as I'm sure you all know, but when it comes to deadlines/starting coursework I find myself incredibly unmotivated, hence leaving it all until last minute and crying into my cup of tea all night trying to get it done in time. As this is my final year of college, I really need to up my game and make sure I push myself to get the best results possible. As well as college, I'm trying to motivate myself to have a complete lifestyle change: diet, exercise etc. I already work out pretty regular (3/4 times a week) but I really want to push myself this year (lol lets see how this goes). Anyway that's pretty much it. Hopefully I stick to all these, happy 2015!